Washtenaw County commissioners authorized backing bonds for a drain project along Miller Avenue in Ann Arbor – in the Allen Creek drainage district – with the county’s full faith and credit. The unanimous vote took place at the county board’s Feb. 20, 2013 meeting, following initial approval on Feb. 6, 2013. The backing is for up to $1.58 million in bonds for the project, which will repaid through a special assessment against the city of Ann Arbor. The project is being handled by the office of the Washtenaw County water resources commissioner, led by Evan Pratt. It’s the first project brought forward by Pratt, who took office in January. Funding for a drain project along Miller Avenue in Ann Arbor – in the Allen Creek drainage district – took a step toward being backed by Washtenaw County’s full faith and credit, following initial approval at the county board’s Feb. 6, 2013 meeting. A final vote is expected on Feb. 20. Ann Arbor park advisory commission meeting (Sept. 18, 2012): Reprising issues they discussed in August, commissioners heard from several residents about the need for: (1) more downtown green/open space; and (2) one or more centrally located dog parks. PAC took action on one of those topics, passing a resolution to give formal input on the Connecting William Street project. That effort, led by the Ann Arbor Downtown Development Authority, is process to examine five city-owned parcels for possible redevelopment. All but one of the sites are now used as surface parking lots. 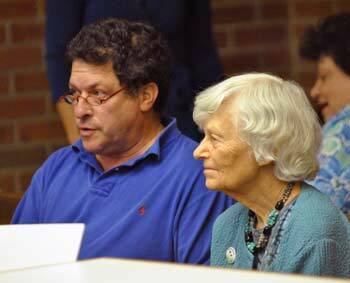 At the start of the meeting, three members of the Library Green Conservancy – advocates of creating a commons on top of the Library Lane underground parking structure – spoke during public commentary. [The Library Lane site is one of the five properties included in the Connecting William Street project.] They urged commissioners to support their plan for a park at that location, adjacent to the library. The underground structure was built with a foundation to support a high-rise building on the site, in addition to a plaza area. PAC’s recommendation to the city council did not highlight that particular site. Colin Smith, the parks and recreation manager, told commissioners that staff did not support an unfenced option, but indicated that they’re exploring possible locations for one or more fenced-in dog parks. One possible site: A parcel on the east side of West Park, near the entrance off of Chapin. PAC also was briefed on plans for rain gardens and other biodetention measures at Miller Nature Area and Garden Homes Park, in connection with a major reconstruction of Miller Avenue next year. 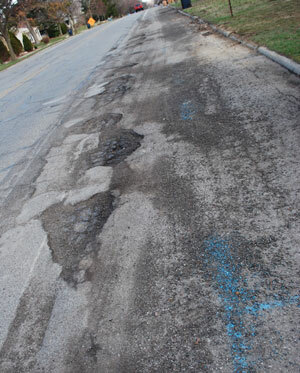 The poor condition of the pavement on Miller Avenue in Ann Arbor is the primary impetus behind the project, which could include many other improvements. But the half-dozen city staffers who met with neighbors at Forsythe Middle School last Wednesday presented a variety of different options for how the resurfacing of Miller Avenue between Maple and Newport roads could be undertaken. Construction on the project could begin as soon as 2010, but far more likely is a 2011 start, according to project manager Nick Hutchinson, who’s a civil engineer with the city.